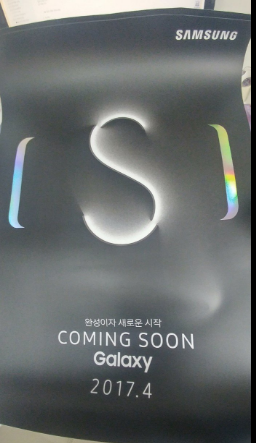 Samsung Galaxy S8 leaked promo posters hint at the phone getting released in April. Unfortunately the exact release date is not available till yet. However, an unconfirmed report points to it release on April 28th. The US and South Korea could possibly receive it a week earlier. Pre-orders in South Korea could begin as early as April 7th. Confirmed information on it could only be got on March 29th, on its official release date. Though, rumours and leaks till now have given us a considerable insight into the specifications of the Samsung’s flagships, the full picture will be out only on its release. They would come with dual-edge curved displays with really thin bezels. The Galaxy S8 will not feature a physical home key. It will have a virtual home button in the lower part of the glass. The fingerprint scanner will be placed on the back of the device. Android Nougat will come pre-installed on the Galaxy S8, with Samsung’s custom UI. While, in some markets, Exynos 8895 SoC processor will power the Samsung Galaxy S8, Snapdragon 835 will fuel the smartphone in other locations. The device is expected to come with a 4GB RAM, though the Chinese variant of the Galaxy S8 might sport 6GB of RAM. With the growing competition, Samsung might be seriously thinking of bringing about some radical changes in its upcoming flagship smartphones Samsung Galaxy S8 and Galaxy S8 Plus. A new report by Android Headlines, says that Samsung S8 might get a rear camera with embedded DRAM that can allow slow-motion recording. Though, this technology has already been used in Sony Xperia XZ Premium, Samsung will be experimenting with it for the first time. Samsung Galaxy S8 may come with 1000 FPS recording. Rumour mills suggest a facial recognition technology also being incorporated into these phones. Samsung Galaxy S8 is rumoured to employ facial-recognition technology for mobile payments. To make financial transaction fully secure this device is said to blend fingerprint, Iris and facial detection to verify users. It’s already working with banks to help them adopt facial recognition systems in coming months, unconfirmed reports said. While previous Galaxy phones have allowed users to unlock their phones with facial recognition, Samsung Galaxy S8 would be the first to use this technology to verify financial payment applications. 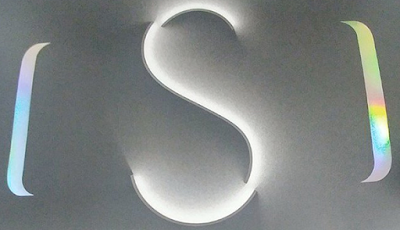 The S8 phone would also have Samsung’s own voice-based Siri-like digital assistant. It is also said to employ more power-efficient organic light-emitting diode technology. It is expected to sport a 3.7MP Iris Sensor. Rumours also suggest that Samsung will go with its tried and tested 12MP camera sensor for Galaxy S8 and Galaxy S8 Plus. The previous leak had pointed out that Galaxy S8 would be available in two models. The standard Galaxy S8 model would sport a 5.8-inch screen while the bigger one tagged as the Galaxy S8 Plus would come with a 6.2-inch display. Both get a super AMOLED QHD+ display sporting a resolution of 2,960 x 2,400 pixels.